Merry ‘Kissmas’ And ‘Chappy’ New Year Free Printable! 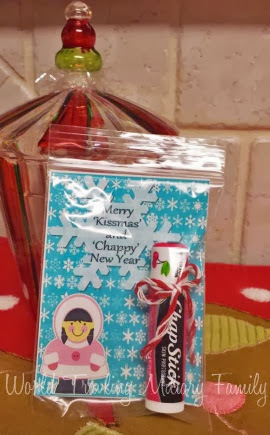 One of my sweet friends asked me to make this Merry ‘Kissmas’ and ‘Chappy’ New Year printable for her so she could use it for ‘happies’ for her co-workers, girl scout troop, and some others, I thought it was so cute I wanted to share it with my readers! You can download the file here, they are 2.75 wide by 3.75 tall to fit the bags below. There are 6 images per page in the PDF file. 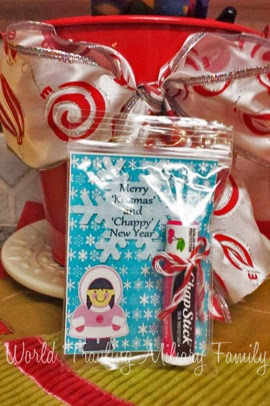 Just print, cut, put in bag with chapstick and make someone’s day happy! She used 3 x 4 clear bags that she found at Walmart in the jewelery section. It was $2 for 200 bags. 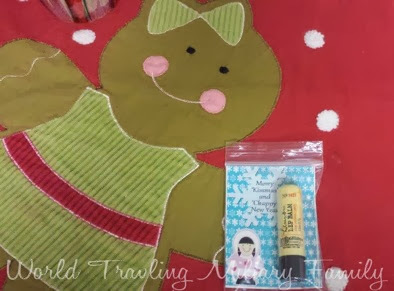 You can use any chapstick you want, she used several kinds, like the girl scout flavors for the girls scout troop. She was awesome enough to share some pictures so you can see them in action, so stinking cute!! These would be great for teacher’s, co-workers, RAOK (Random Acts of Kindness), ect! I’d love to hear how you plan to use them! Please note these are free for personal use and should not be sold or redistributed 🙂 Feel free to send your friends so they can download a copy too. Thank You! These are adorable! 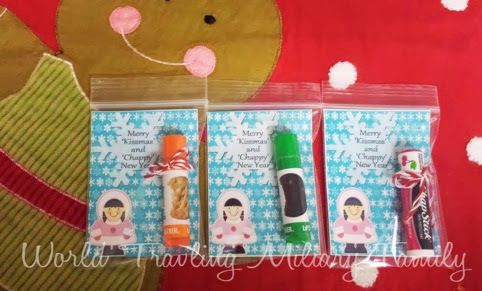 The cutest I have seen for lip balm. You are very talented. Be safe and have fun travels!